Tales of Danger #1: Days of Discovery társasjáték - Magyarország társasjáték keresője! A társasjáték érték! A Tales of Danger #1: Days of Discovery egy kiváló társasjáték, 1 - 6 játékos részére, az átlagos játékidő rövidebb, csak 30 - 60 perc. A társast, 12 éves kortól ajánljuk kipróbálni. A játékmenet erősen épít a pakli tervezés és a kártya húzás mechanizmusokra. Lost to history, a new land in the middle of the Atlantic Ocean was discovered by Portuguese sailor Raimundo Peres da Costa at the cusp of the 14th century. The process of merely planning and gaining support to make such a risk-filled journey was a difficult path of its own. Yet, in securing the sponsorship of beloved Queen Isabel of Portugal, Raimundo was able to get the supplies and crew needed to accomplish his dream. Players recreate this accomplishment in a game that plays out as a 3-act story. First, draft cards representing people who have evidence of the hidden land and plans to get there, in order to gain sponsorship from 1 of 6 important figures. Second, use the resources from your sponsor to draft cards representing the supplies and crew needed to make the journey. Finally, sail the treacherous seas to discover the "Land of Danger" by using your hand of cards to pay for the costs of the voyage. Gameplay is centered around a deck of multi-use cards that will provide different types of help, depending on the stage of the game, random costs incurred while sailing, and the points gained by completing segments of the voyage. 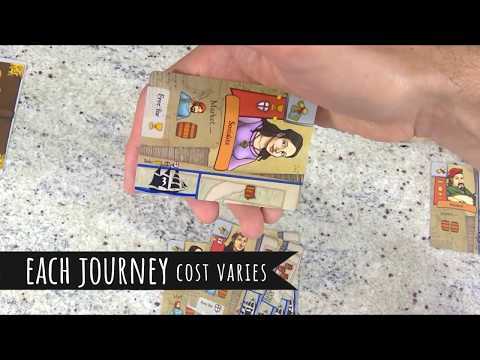 While the game is a race to be first to get to the Land of Danger, points are scored along the way for the difficulty of the voyage and the quality of written journals (hidden scoring cards). 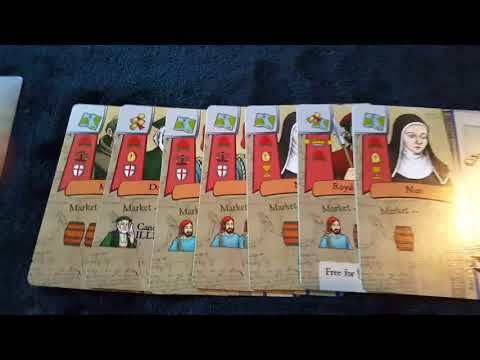 The game is playable solo, and also with 2 to 6 players.